PocketMedia® products ensure that students keep your information close at hand. 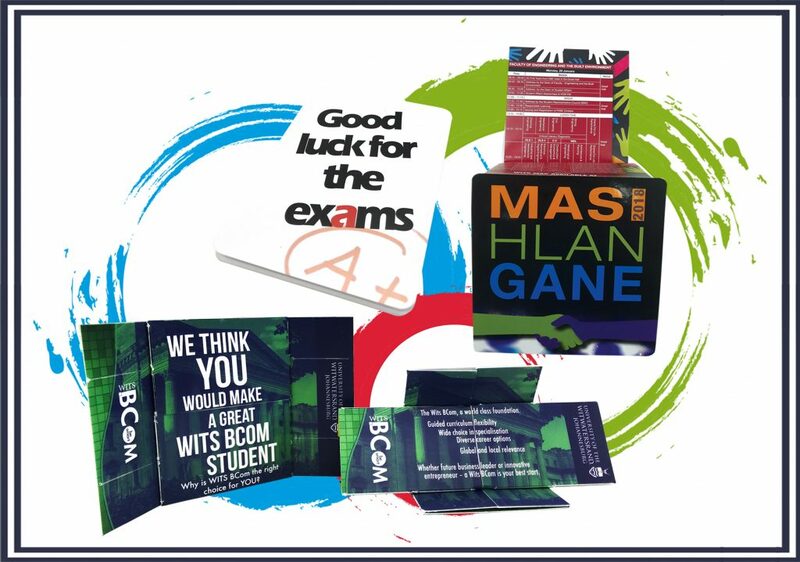 Whether it’s a revision tool or a campus guide, PocketMedia® products are ideal for packaging large amounts of information in compact, retainable formats that students want to use. The University of Johannesburg selected the Z-CARD® as a registration guide to assist first year students during the annual registration process. “The pocket-sized Z-CARD® was posted to first year students during November, to make registration less daunting and easy for them,” says Louis Fourie, The university’s Logistics Coordinator. The one side of the Z-CARD® provides information about orientation, fees, contact numbers, bursaries and faculties. Some of our clients that have produced education related products include The University of Johannesburg, NMMU, University of Fort Hare, Stellenbosch University, Wits University, VastraTech, North West University, various FET colleges, Department of Education and Microsoft.